When I started the #101dram Charitable Challenge in February 2013, I included a mix of rare, common, unusual, cheap, expensive, blended and single malt whiskies (and one or two white dogs as well). One that made its way onto the list, by virtue of being three of those things (unusual, blended, and cheap), was Black Bottle. At the time, it was a blended whisky containing almost every Islay malt currently in existence. I'm told it's now no longer Islay-focused (an indication of the rising price / scarcity of aged Islay whisky perhaps?) Whatever the case, this post is about the older, Islay-focused blend, which comes in the still-style bottle. At the time, it was about $44AUD from Vintage Cellars (seems they still stock it, for $52 now), so it was pretty easy to take a punt on a whole bottle (I figured worst-case scenario, I'd use it for cocktails like smokey Blood & sands). Turns out, it's not half-bad on its own. 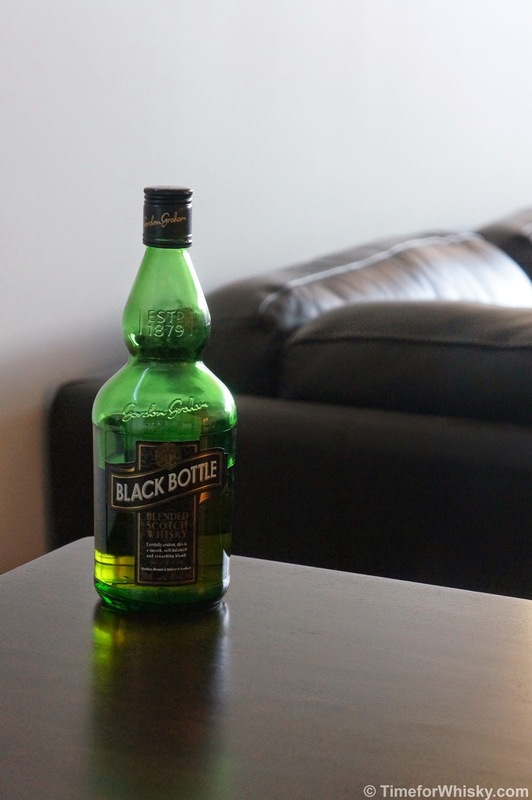 Black Bottle (40% ABV, NAS, Scotland, $51.99AUD). Nose: Young and spirity, the peat smoke is there, but it's not huge like you might expect. Palate: More peat smoke than the nose, but also potato bake and some residual honey notes which were very welcome. A quick look at the glass, and the complete lack of legs, suggests this isn't terribly old, nor high in ABV (it does feel a little thin on the palate, but it is only 40% ABV). Finish: More peat smoke still, short and hot, with some asparagus notes and a slight hint of those sweet honey notes from the palate. Rating (on my very non-scientific scale): 89/100. Not likely to set the world on fire, but for the price, it certainly punches above its weight (how many decent Islay whiskies can you find in Australia, readily available, for ~$50AUD)? ...and hey, if you don't love it, it makes a mean smokey Blood & Sand. Not all these news items are about new whiskies (or furoshikis - see below)....sometimes they're about celebrating the great work small independent distillers have done. 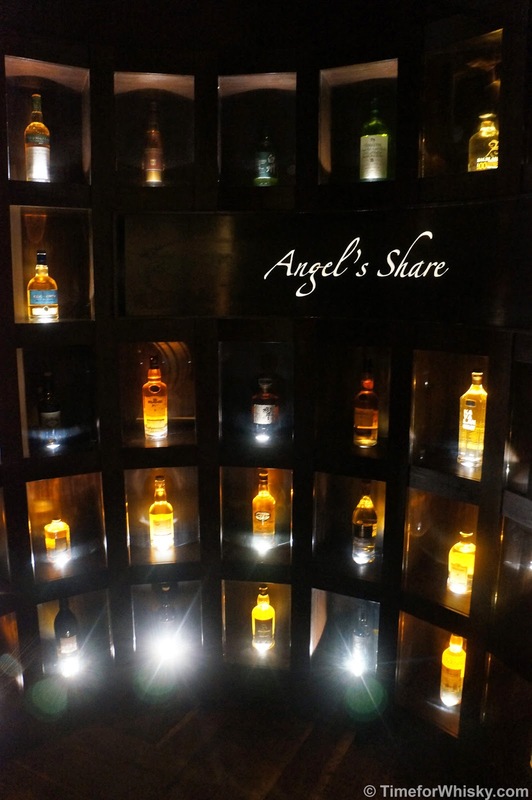 Especially when one of those distillers is effectively the "founding father"of Whisky in Australia. 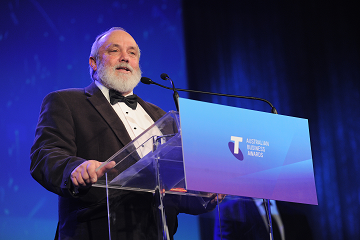 I'm talking of course about Bill Lark, of Lark Distillery who was awarded the Small Business Award at the 2014 Telstra Business Awards in Melbourne earlier this month. “Lark Distillery is a trail blazer that initiated the development of the Australian whisky industry and has now matured into a premium player on the international whisky stage. Lark Distillery is the quintessential small family business success story. Starting with no plant, no finance and no customers, and needing to get the law changed to even start their business, Bill and Lyn Lark have been pivotal in founding whisky distilling in Australia. 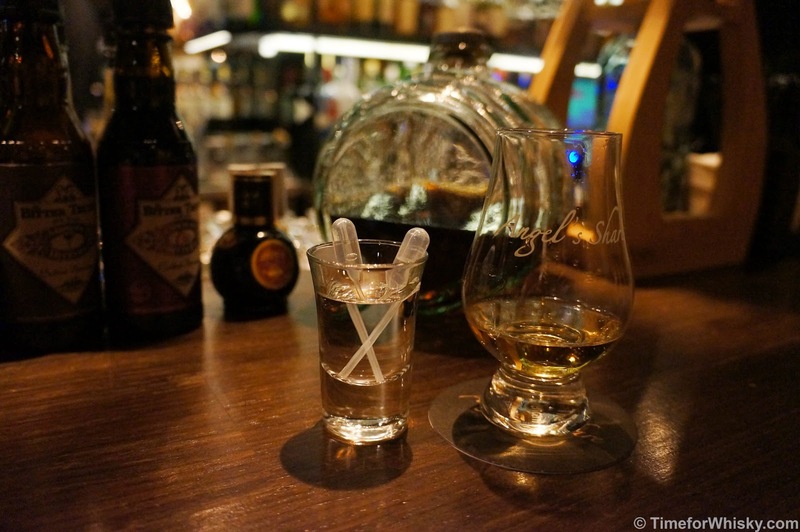 Back in May we blogged about the excellent Launch of Suntory Whisky in Australia event at Sydney's Art Gallery of NSW. Good fortune found me standing next to the very friendly Akira Isogawa (renowned international fashion designer), who as we mentioned in the article, mentioned he was collaborating with Suntory on limited release packaging/scarves - details of which are now available. Suntory Whisky has partnered with renowned Japanese-Australian designer Akira Isogawa to celebrate the Art of Giving. 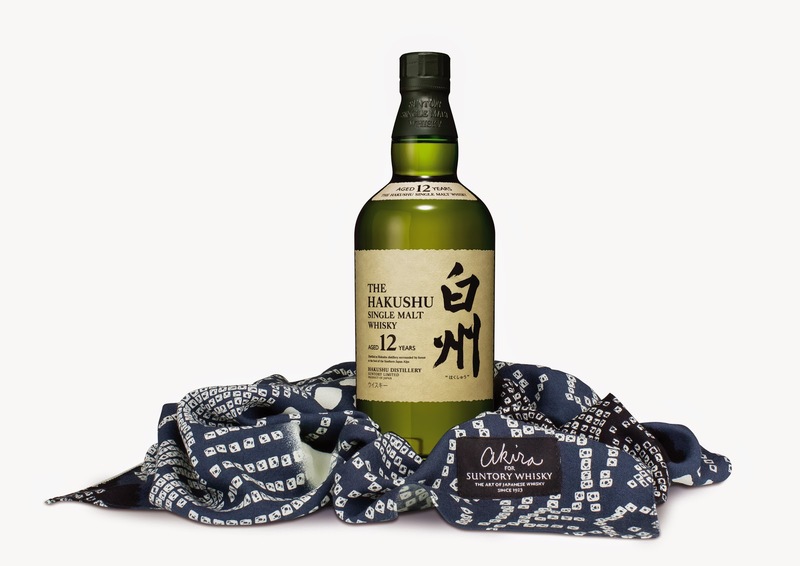 The multi-award winning distillery has worked with Akira to create a limited edition traditional scarf used to wrap gifts, known in Japan as “furoshiki”, which was designed exclusively for the Suntory Whisky Australian range. Having recently expanded its luxury offering in the Australian market, Suntory Whisky is launching this exclusive collaboration in time for Father’s Day and the Christmas season. 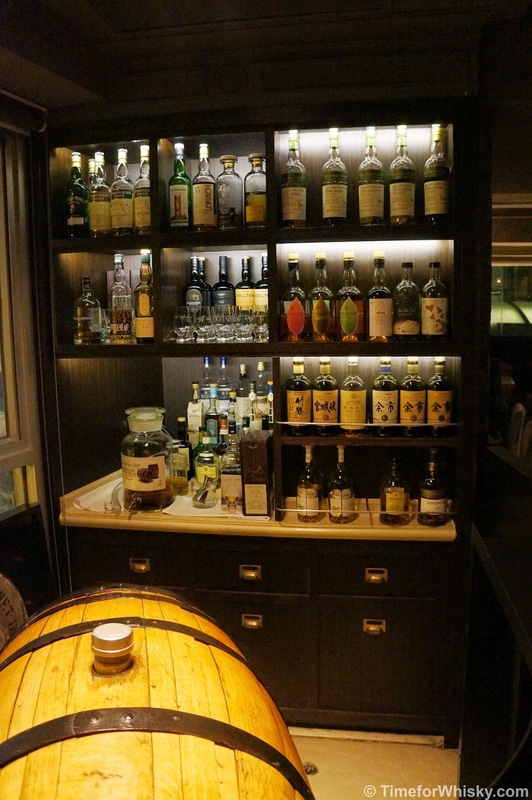 The Japanese distiller celebrates the Art of Giving each year; a concept that centres on acknowledging the joy found in offering gifts to loved ones and the power of a thoughtfully chosen gift. 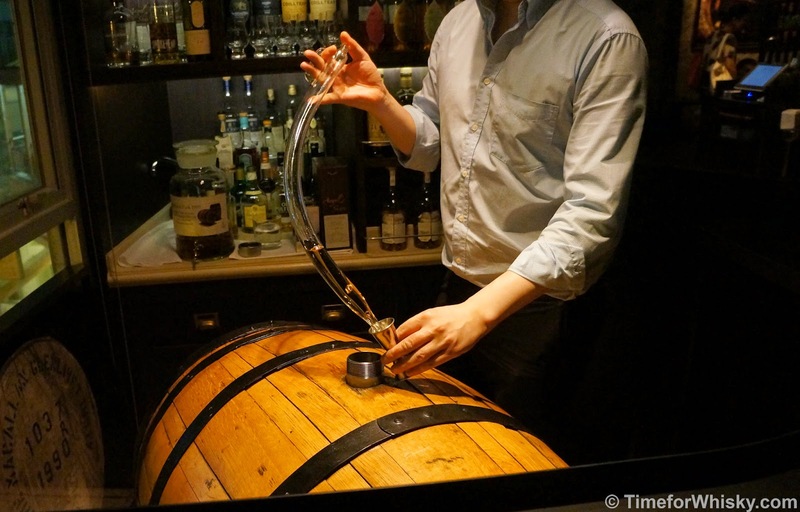 “The partnership between Suntory Whisky and Akira was a natural marriage; one of Australia’s best designers coming together with the leading Japanese whisky. We are aiming to celebrate quality craftsmanship and the importance of honouring those you love with a truly unique item,” said Suntory Australia managing director, Ian Atherton. Like origami, furoshiki is considered an integral part of Japanese culture. For 2000 years, the furoshiki served as a special pouch to hold personal items. Today, the ancient custom has become fashionable in Japan as a beautiful eco-friendly, lasting wrapping for gifts. Just 300 of the ‘Akira for Suntory Whisky’ furoshiki have been produced. The limited edition scarves will be available in selected specialty retailers around Australia from August 2014 ahead of Father’s Day on Sunday 9 September. The furoshiki will be available as a gift with purchase to wrap one of the hero whiskies – Yamazaki 12 years old, Hakushu 12 years old or Hibiki 17 years old." 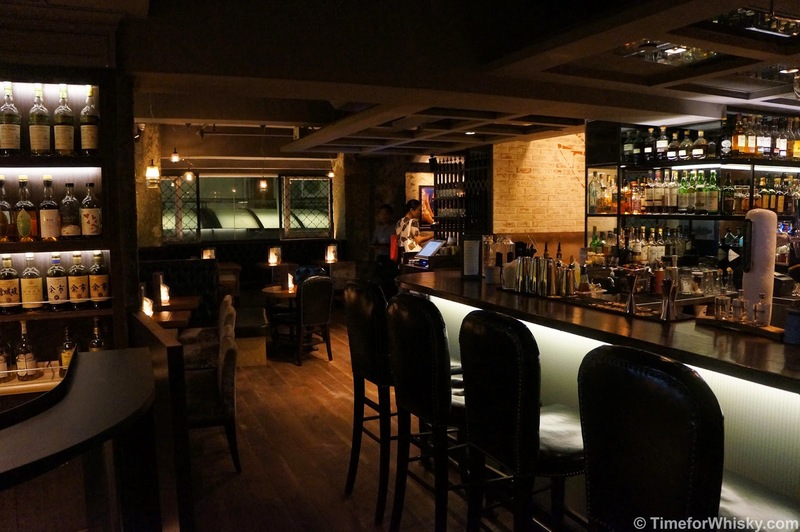 Johnnie Walker Blue Label presents "The Gentleman's Wager"